Some Tau wear what is analogous to power armour. The Genestealer Cults aren't allowed here for the same reason (despite their human portions). They are part of the larger Tyranid faction, not an army of Humanity or Chaos. If that changes, we may revisit the decision. Until that time, Genestealer Cults aren't allowed here. On-topic, however, I'm of the mind that we should not allow GS Cults, cool as they might be. They might be human, or at least partially so, but as Olis and Brother Casman may say, they are Xenos in nature and push the line just a bit too far. It's the same reason we don't allow Tau Gue'vesa on the board. They might be genetically human, but their loyalties, their nature, is that of the Xenos (We don't allow Gue'vesa, right? Right?) Actually, that might be the best precedent for something similar. We do actually allow Gue'vesa on the board, but none of their AI drone controlled units. Though, that may just be because they don't have a codex to use other than counts as IG. Also, thank you BT. Just looking at this again if the current understanding of fluff changes is all I really wanted. Edited by Teetengee, 24 September 2016 - 02:54 AM. In us burns a fire for vengeance that will only be quenched when we stand triumphant over the smoldering ruins of Terra. Our laughter on that day will haunt their survivors till the end of time. We will stride forth victorious through the shattered gates of their fortress, holding high aloft the defiled corpse of their rotting god as our prize. Wulfkry, on 02 Jul 2013 - 3:38 PM, said: So an inquisitor is receiving SM implants using GK geneseed stolen off the fields of armageddon interesting..
Warsmith Aznable, on 30 Jan 2016 - 01:16 AM, said: 13. Teetengee wrote "Warp Born" and I won't even go into how disturbing the subject matter was. The Psycho, on 26 Apr 2016 - 10:50 PM, said: That's either really disturbing or really cute, I haven't quite made up my mind yet. I'm not dead, and I like 8th better than 7th. Not sure if its already mentioned, but the Cult will use a lot of Imperial Guard stuff, and even Broodbrothers (= Imperial Soldiers). This said, I wouldn't warrant the full inclusion of Tyranids - but the Cults themselves, as their own army, are using a lot of Imperial Guard/Humanity stuff. I'm even pretty sure that we will be able to take imperial guard FW stuff. Edited by Atia, 24 September 2016 - 09:24 AM. And depending on the unit contents they might even be more deserving to be in the board than daemons. 1) Space Marines. They are far more genetically changed than cultists, 8 feet tall, asexual, sterile, and unlike cultist, no one would mistake them with regular human on the street. Ban these mutants. 2) Chaos. Not only due to above, regular humans in Chaos faction are all tainted and mutated. If cults are banned due to taint, why make exception there? Oh, and look, daemons, vast majority of them were xenos while alive, instant ban! 3) AdMech. Last time I checked, humans didn't have as much metal in them as Necrons. If body changes bans a faction, this one here goes even farther than cults. 4) IG. Just look at that, Ogryns, Ratlings, Beastment, all other strains of abhumans, why we allow these deviants? And they are used as counts as Guevesa, Ork slaves, and Dark Eldar gladiators! Just look at all this heresy! Therefore, if mods want to apply the rules consistently, the only army now allowed is Sisters of Battle. Case closed. And on more serious note, no one wants to put Tyranids on this board. Cults are vastly more human than a lot of armies allowed here, and the only thing that allows the players to field PDF, feral humans, feudal IG regiments, and a lot of other stuff that is 100% human and permeates the fluff, despite being absent on tabletop. To bar this just stifles creativity and original thinking, I'd personally welcome them more than #54326 Imperial Fist army. I am actually somewhat in agreement with Genestealer Cult not being valid based on what we know of them now (ie, from Overkill). I think if they become much more "human" though, being able to include Guard units in their army and ally with Imperial factions then it should definitely be reconsidered. Yeah, we don't even know what changed with them yet and some would still like to pre-emptively ban them. If they are now IG+, and can be fielded as fully human army, allying with armies of the Imperium, they have more reasons to stay here than a lot of what is allowed, IMHO. This forum is the home for the forces of Chaos and the Imperium. Genestealer cults are neither of these and shall never be. They are for all intents and purposes a Xenos faction with humans amongst them. Brother Tyler has made that abundantly clear just a few posts above this one. Saying that we should ban 90% of the factions represented here because they're "not human" is downright silly because it's irrelevant and not the reason why they are banned from the forum. Edited by Dosjetka, 24 September 2016 - 09:46 AM. So we apply rules consistently in one case but not on the other? In any case Cults draw more from humanity than daemons. That's my point. Space marines are genetically engineered humans. But they come from humanity. Same as the AM mutants, and even chaos and renegades. Just like cults despite being tainted. Now daemons? They are as alien as the Tau or Orks. They feed and prey on humanity. Edited by Sete, 24 September 2016 - 09:46 AM. How many times does one need to explain this to you, Sete? Daemons are not Xenos. They are a core part of the forces of Chaos and since this forum is home to the Armies of Chaos and the Imperium, they are allowed. Genestealer Cults, despite the humans making up their ranks, are affiliated to Xenos and are therefore not allowed on the forum because they are NOT an Army of Chaos or the Imperium. Daemons are not xenos, and they are not part of humanity. They ally with the traitor faction of humanity. But as of now they are a separate entity. My point stands. They should not be allowed on the board aswell. They are as far as humanity as it can be. Like Tyranids. One part of material realm other of the immaterial. Their purpose the same. Like cults have tainted units. I do understand your point of view dosj, but I don't consider daemons core to a chaos army. Edited by Sete, 24 September 2016 - 10:10 AM. Let me put it another way: Chaos Space Marines are a core faction of this forum. They share a whole Codex (Khorne Daemonkin) with Daemons (which are a core part of Chaos in the fluff). In addition to this Daemons used to be a unit choice for Chaos Space Marine armies back in 3rd Edition. Daemons are also, in a way, the physical manifestation of the power of the Chaos Gods in the physical realm. With that in mind, their presence on this forum is, in my mind, justified. Genestealer Cults include parts of the Imperial Guard which isn't a core faction of this forum (much like the AdMech, Inquisition, Assassins, etc). In addition to this, they do not fight in the name of Chaos or the Imperium. They fight for their own "gods" which are the Tyranids, a Xenos faction and also include elements from this Xenos faction. Xenos are not allowed on this forum because this forum is for the forces of Chaos and the Imperium. So, Genestealer cults, being a mix of a Xenos faction and a non-core faction of the B&C, and not being a faction of either the forces of Chaos or the Imperium do not have a place here of on the B&C. Edited by Dosjetka, 24 September 2016 - 10:14 AM. So this is not a board for the armies of humanity but for Chaos and Imperium. Edited by Sete, 24 September 2016 - 10:45 AM. So if I make an Astra Militarum Regiment from Ghosar Quintus it is not allowed here? Laguns, Chimeras and good old flak armour? I'm not saying I want broodlords and Genestealer on the site, they are filthy xenos and I abhor them as much as any witch, but I would not mind to see the community take on Cult infiltrated Regiments. Edited by Sete, 24 September 2016 - 11:06 AM. That would be AM for all intents and purposes at that point, surely? And where is the point of braking it? These guys are ok? Where do you draw the line? Someone could do an army with 90% converted guard stuff, chimeras, leman russ tanks and a baneblade. Now he adds an HQ choise, or a sergeant with 3 arms - is this forbidden? Of course it's the admins last word, but from a modellers/painters PoV it's a bit ... restrictive. The Genestealer Cult is an army based on the Astra Militarum range aswell as on the new Cult kits. 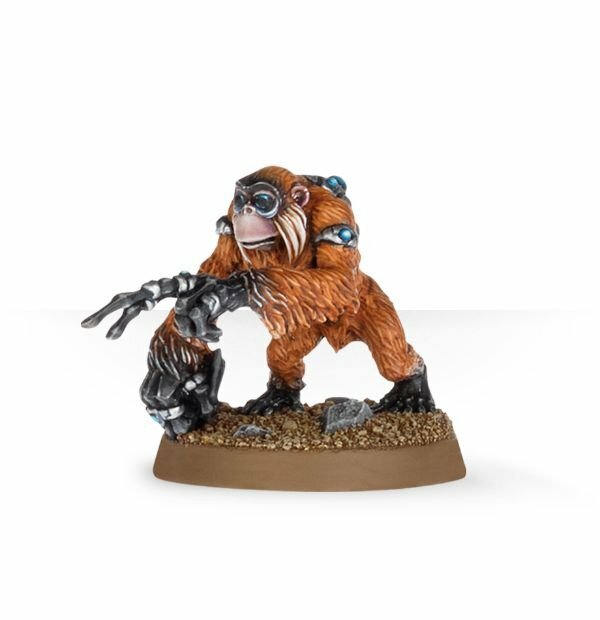 It is allowed to do a chimera with a genestealer icon, but not let's say a basilisk with hybrids on it? Edited by Atia, 24 September 2016 - 11:27 AM. As Atia said, I think they should either be completely allowed or forbidden. My feeling on the issue is a mix of how rules work and how the background ties in there, i.e. how, then reading the core fluff book of the BRB triad , the forces are split. - the Imperium of Man , with what the rules and codices consider part or them (humans, space marines and other GMOs , abhumans and the likes) that all fight to some extent for the God Emprah . That's also where I'd put space pirate, rogue trader and similar unaligned folks if they had a codex, humans who do their own things within the Imperium but have no particular love for it. - Chaos forces, which are the arch-enemy of the imperium, composed of the traitor humans and affiliates, and the deities and monstrosities they worship/follow . They want to create their own anti-imperium of sorts, they are the antithesis of the imperium but based on the same feudal reasoning . The humanoids are the workhorse of this faction, and the demons, minions and the likes are of the same alignment, working together. - Xenos, neither human nor antihuman, a threat to both actually. That's where you find all of those who have a personal third agenda for the galaxy : space elves, leather-and-chains elves, mushroom boyz, bugs, communist smurfs , and those who follow them. That's where I'd put humans who are under Tau rule for example. That's how I can rationalize the current board setup that deals with the first two of these categories. Hence my opinion that genestealer cults are of the third kind. To me, here, we deal mostly with the Imperium/Chaos opposition as a frame for the board. Xenos are an outside threat to this. Consider it as the cold war, two major factions that are less different than they think, and a myriad of smaller third wheels that, if left unchecked , could become major threats. Which is where we are now, in the middle of the..storm. Again, I 100% understand the "no Xenos part". My issue is that we now have a new army (since its now that the Codex is up for pre-order) that represents the amalganation of Xenos infiltration, the Astra Militarum and an human cult. This is something we never had before (officialy, besides 2nd edition rules). An army that heavily uses elements from the Astra Militarum. I could already post 60% of that army here in my WIP thread, as it's f.e. just an imperial tank with a symbol, or a imperial soldier with a funky head. Hell, if you consider 2nd edition sources as canon, there are even Chaos Genestealer Cults. Also, some may know I'm 95% painter/collector/fluff-bunny. For me this new release is just an addition to the imperial guard range. I finally can make my Genestealer Cult as it was intented back in 2nd. Hybrids, Cultists, Guard dudes, tanks, cool cars. Showing a corrupted Imperial Guard force. Edited by Atia, 24 September 2016 - 11:45 AM. Actually, now that I think about it, this model must be 100% human then because it's allowed, with justification it's in mostly human faction. Completely unlike GC, another mostly human faction, eh? I feel like you're trying a bit too hard to twist people's words. But hey, it's an ape, that pretty close to a human. Just pop them on the Lost and the Damned board? Edited by Atia, 24 September 2016 - 12:29 PM. This topic is a little ridiculous. The mods have spoken. Now iam sure some leancy may be shown if sharing pictures of models that could be in the IG or GC codexs. Much like we have with the tau. The Following are links to the collections of threads about my many collections Uverons Black Crusade , Uverons Imperials, Uverons ORKS!! Just because they've spoken doesn't mean we cant oppose it. After all, is it not the community that helps support the board by keeping it running with donations? Now I'm not saying they have to listen, but it at least should give us the right to oppose it. Honestly I understand where the Admins are coming from, for the most part. Yet the Xenos thing vs demon thing is a good point. Demons are just Xenos from another dimension. They seek the same thing as the 'nids. Chaos worship them, much like the GC worship their gods. The slippery slope is kind of dumb because they will just do what is done now, and say no to anything further than the cults. Edited by Arkangilos, 24 September 2016 - 03:27 PM. Well it could be argued that the slope started with the Guard, who were let onto the forum after the deamons. They got on because they could be used alongside power armored army's. Something that GC doesn't appear to be able to-do.